I thought I’d have a go at making my own, and I had someone donate a size 3 S10 to the cause, so I could break it, but actually things have turned out pretty well. I think I’d perhaps prefer a hooded one, but I can get that sorted later. If you want to make your own, it turns out not to be too tricky if you’re a bit handy with a Dremel. Firstly, you’ll need an S10 and a Fleshlight Flight Aviator. Remove the speaker box from the front of the S10 – all the parts are push fit plastic that are pretty firmly pressed together but you can remove with a wide, rounded screwdriver or a spudger. 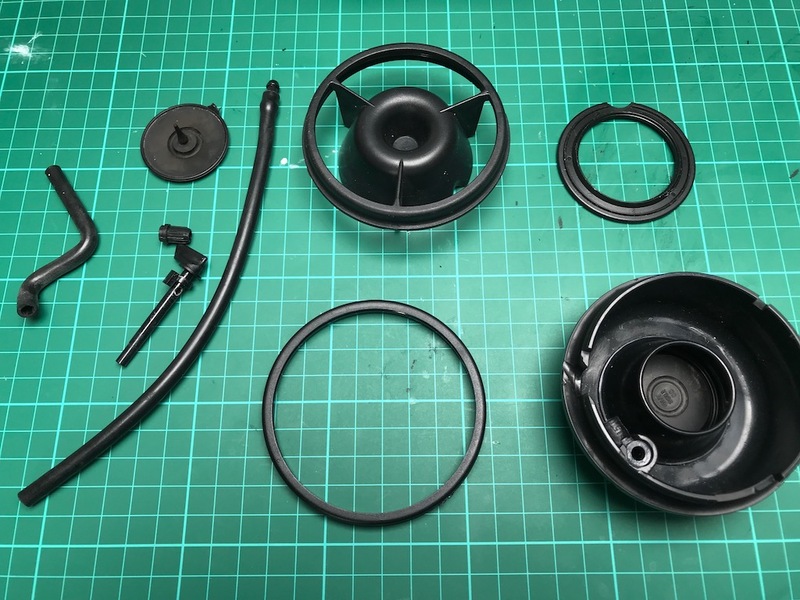 Some of the plates fix from the inside as well, and you’ll need to remove all the drinking straw bits too, and the inlet valve from the left hand side. 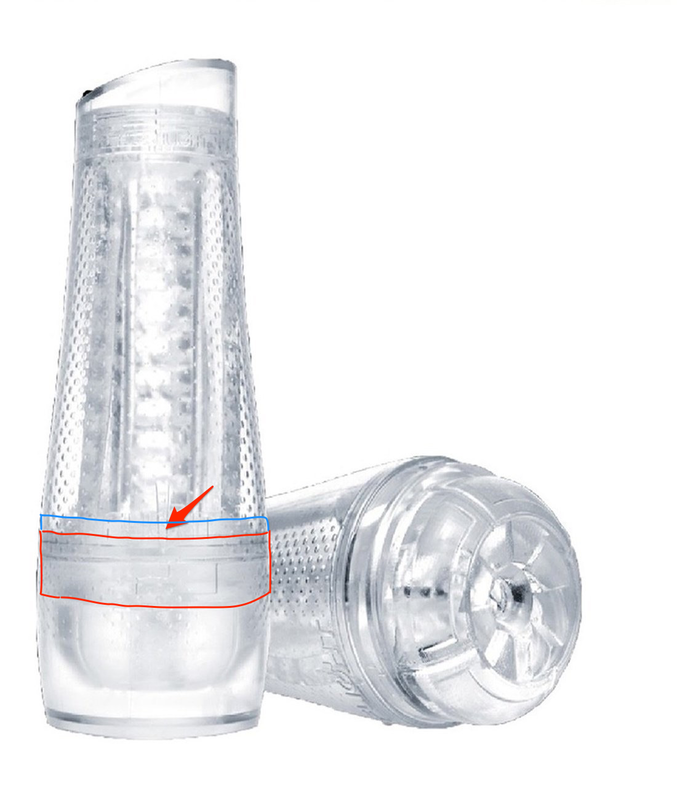 The fleshlight itself has two screw-on caps at either end and the inner silicone sleeve thing. 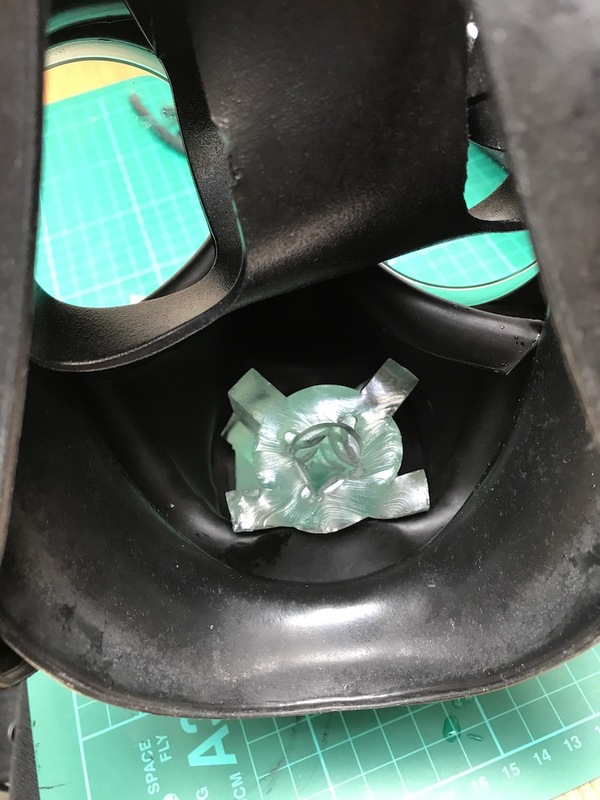 The end of the fleshlight sleeve is the thing you’ll want to salvage – this is actually held on by a couple of plastic tangs from the rest of the sleeve which you can slip a small screwdriver under to release. I’ve marked in red above the bit you want to keep and the red arrow shows the plastic tang you’ll need to press on with the screwdriver to release (there’s another on the opposite side). I also wanted a kind of “washer” so cut the whole section makred in blue with the plastic tangs off with a fine saw blade (after removing the bit above). There’s a nice line in the plastic to guide you. 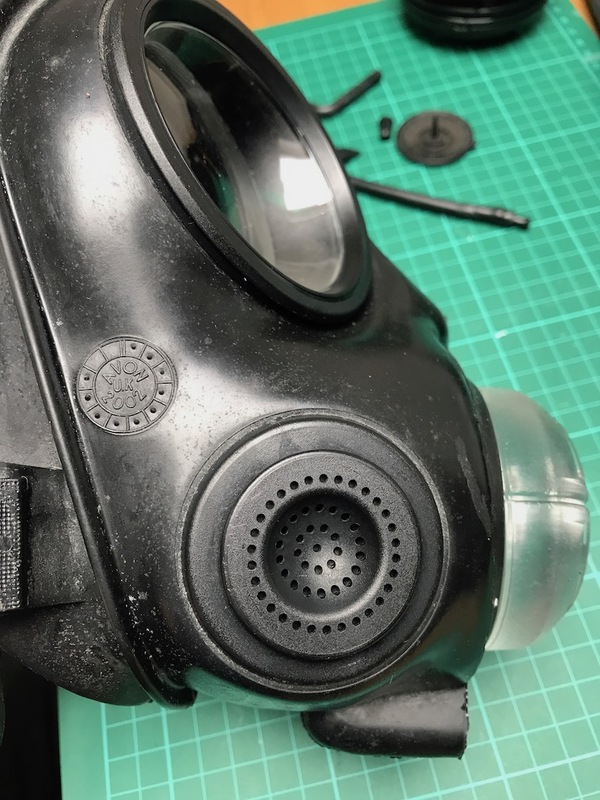 The next step is to cut a reasonably wide groove along the red bit salvaged, this will be used to fit the rubber of the mask into. I used a Dremel cutting disk. This step may not be necessary, but I figured it would help the robustness of it all. You can now fit the red part into the front of the mask, then fit the blue bit from inside the mask – the tangs should engage and sandwich the rubber of the mask between the two. I then used some black silicone on the front and inside of the mask to glue it all into place. You can tidy it all up once it’s set, but a soapy-water-finger can be used to smooth it all out once applied. This does smell a bit for a few days, but will eventually go. Make sure it’s a food safe one. 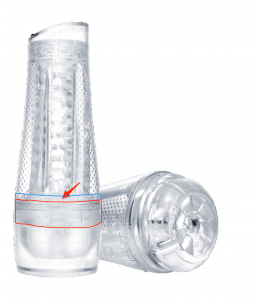 You can then trim down the fleshlight inner (or not!) which then just slots neatly in, and easily removes for cleaning. Good luck with yours, let me know if you have any questions in the comments! Can you add a picture of the inside of the S10? Also wear is the SJ from in the first photo? 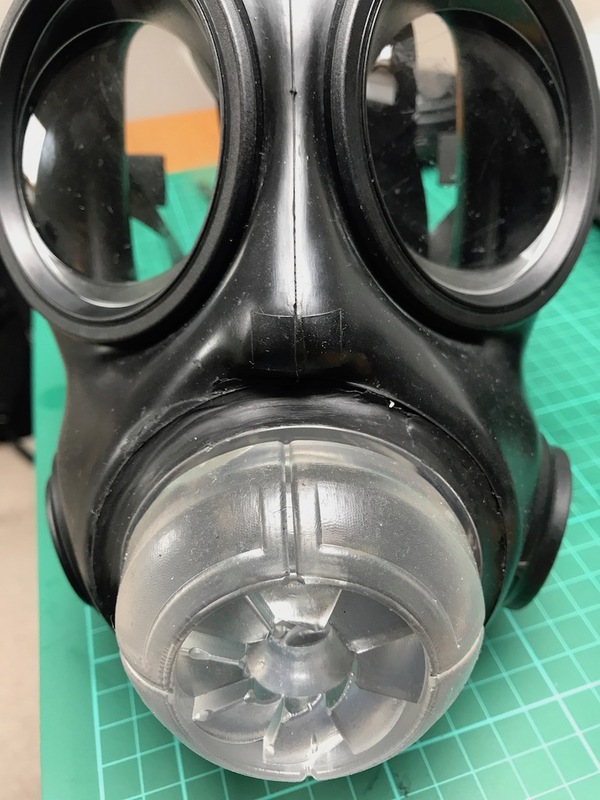 I did a similar mod with my C3 mask and the Alien fleshlight. Also replaced the lenses. The result is interesting to say the least!